Co-Graphic Recording at the “Advisory Panel on the Modalities of Government and Administration”. From October 2013 to May 2014, the government’s Cabinet Secretariat Administrative Reform Task Force is holding an “Advisory Panel on the Modalities of Government and Administration”. 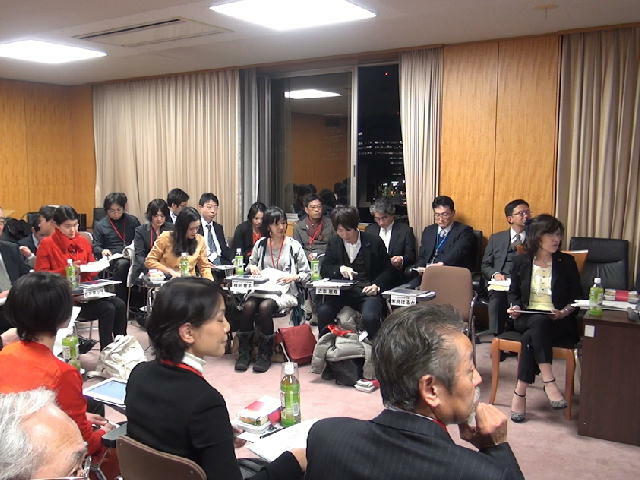 At the fourth meeting on January 30, 2014, this panel, which includes Tomomi Inada, Minister in Charge of Administrative Reform, used the visualization tool Share Anytime to record and visualize the discussions of the panel participants in real time. The fourth “Advisory Panel on the Modalities of Government and Administration” meeting. The big table was removed in order to encourage a lively discussion. Share Anytime is a group communication app where up to 100 iPads and other tablet devices can be used to write, edit, and share information that can be viewed by all participants. Based on the popular handwriting app Note Anytime, it uses the internet to support communication between multiple base points, achieving handwritten group communication that was not previously possible with e-mail, chat, and co-editing software. At this panel discussion, every meeting participant was supplied with an iPad set up with Share Anytime, and it was used for two purposes. The first was the role of an ordinary white board during the meeting. Another was in order to create a visual record of the meeting participants’ opinions in real time, using a technique called Co-Graphic Recording. 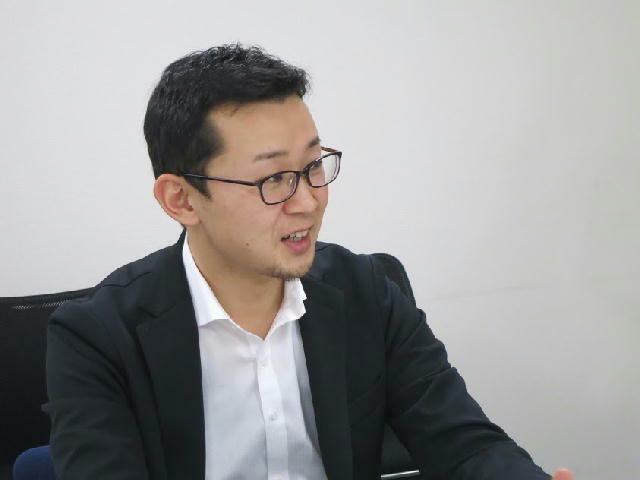 Moderator Fujishiro Deputy Director-General used the Share Anytime contributions to decide the next speaker. By substituting the traditional white board with this system, the meeting participants are able to write their opinions about the discussion freely on a page within Share Anytime called Free Meeting Notes. Ordinarily at a typical meeting, participants may not speak until they are called upon. However, by using Share Anytime, even participants who have not been called upon to speak can write their opposing opinion or supply supporting information in response to the current speaker. Each submission is shared with all participants on a single “note”, so the moderator can listen to the opinion of the speaker while also viewing the opinions written on Share Anytime, and it becomes easier to select the next speaker based on the content of the discussion. 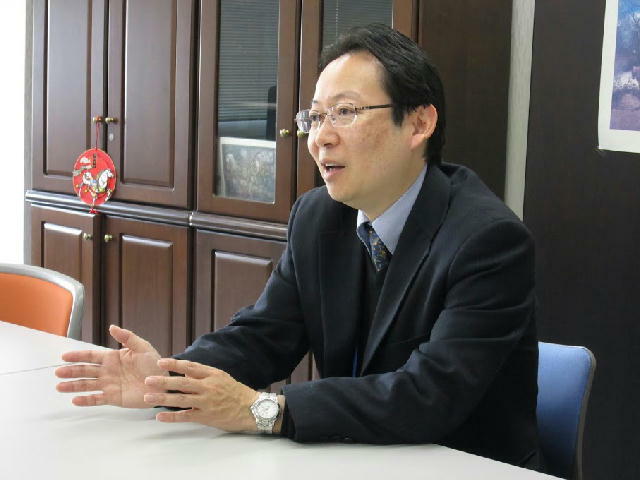 The person who decided to use Share Anytime at this discussion, Fujishiro Deputy Director-General, who was also the day’s moderator and is Deputy Director-General of the Cabinet Secretariat Administrative Reform Task Force, had this to say in an interview held several days after the meeting. Deputy Director-General of the Cabinet Secretariat Administrative Reform Task Force, Fujishiro Deputy Director-General, days later at the Cabinet Secretariat. 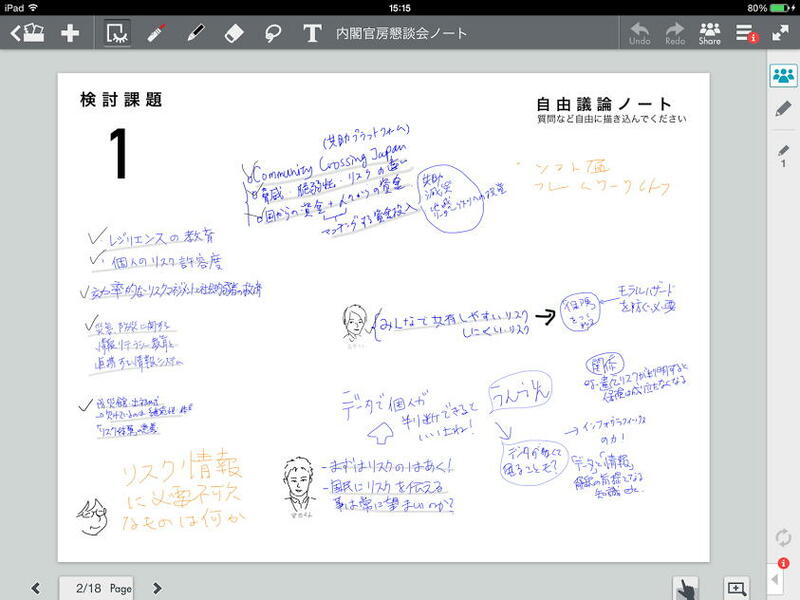 An actual page of graphic recording made using Share Anytime during the meeting. One more purpose was the real-time visualization of the meeting minutes (Co-Graphic Recording), which was created by a team made up of students from the Waseda University Political Science Postgraduate Journalism Course and students from the Tokai University Art and Design Department under the guidance of Tokai University Lecturer Makoto Tomita. First, the statements made by participants were converted to text by a computer in real time and next, keywords were extracted and the design was laid out, colorized, and illustrated. From the statement to the visualization, there was actually about a one-minute time lag to complete this process. Even so, it allowed everyone to grasp the visualizations of keywords in an easy-to-understand way, helping to share the flow of the discussion. While many government panel discussions consist of a presenter following a pre-prepared presentation sheet, giving a one-sided explanation from beginning to end, this process helped to contribute to a substantial discussion, and had many benefits. During the discussion, seven students took turns operating a four-person work team. Graphic recording is a visualized record of a meeting, and a characteristic of this is that the process leading up to a decision can be visualized. By making words and concepts into a graphic, it is even more direct and easy to understand. 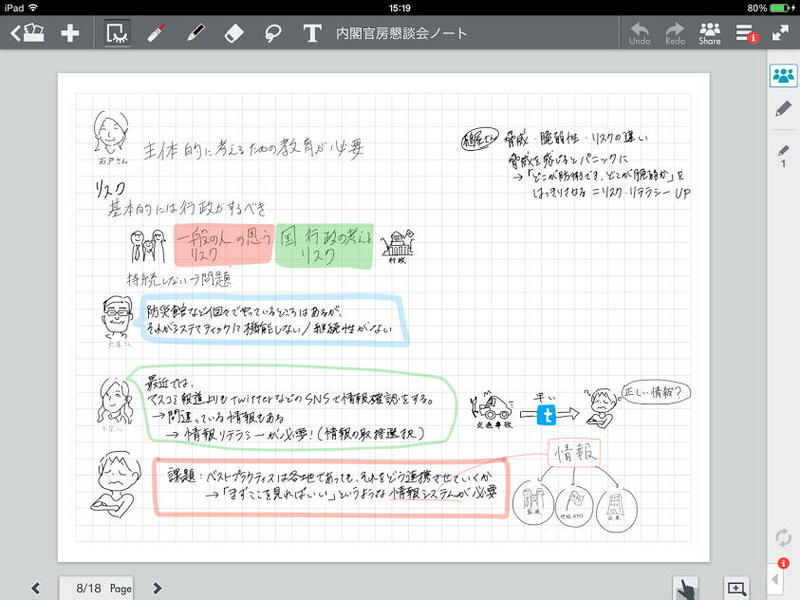 In the west, this is becoming more common, with names such as “visual meeting” and “graphic facilitation”, and even in Japan, it is being used for brainstorming, workshops, and discussions at academic meetings. However, the most common method is the more analog approach of using large pieces of paper or post-it notes. With an analog method like post-it notes, the letters are small, it is difficult to read afterwards, and it can be difficult to manage with a large number of participants. At this friendly meeting, the participants each had an iPad, and they used the Share Anytime functions to do the graphic recording method. This new experiment originated with a proposal by Chiaki Hayashi, Co-founder of Loftwork Inc and Japan Liaison to the Director at MIT Media Lab. She told the office, “If you don’t conduct your meeting in a way that brings out the thoughts of the participants who are working in parallel, and they only talk for the three minutes they are assigned, there’s no point to it. Instead of a discussion that disappears, I hope you will try running a discussion where it takes shape, and everyone can share an awareness of what the point was.” And then, Ms. Hayashi spoke to Professor Tomita, and he said, “There’s a tool that can visualize the discussion and share it in real time.” and they decided to use Share Anytime. After using it, Ms. Hayashi had this to say. 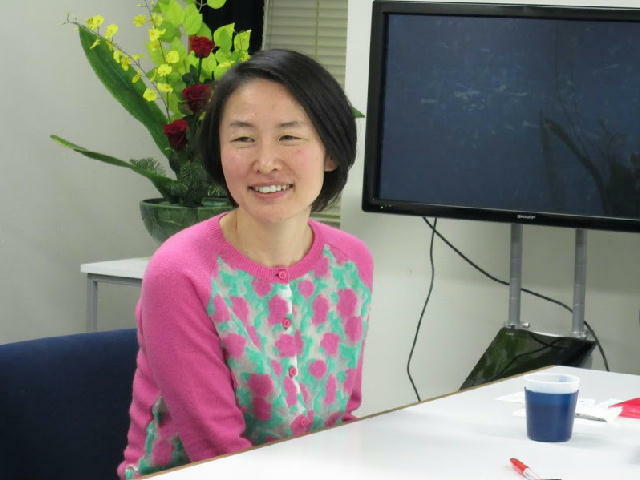 Loftwork Co-Founder Chiaki Hayashi, who proposed a change in environment and way of proceeding for the meeting. When Professor Makoto Tomita, who led the graphic recording, had the students of his university class take photos of their class notes and send them to him by e-mail, he says the students all had very different note-taking styles, and he thought it would be interesting if they tried doing it together. He said that when he was asked to be in charge of graphic recording for the panel discussion, he settled on Share Anytime because of its many features and high quality. At this panel discussion, it was a government meeting and students helped out with the new experiment as staff, but Share Anytime worked well to help split the jobs up so people could work at transferring to text, visualization, and so on. Simply by connecting to the internet, up to one hundred people can share the same information, so the people doing the conversion to text and visualization don’t necessarily have to be on the site itself. I think that is worthy of special mention. It could even be possible to outsource this kind of graphic recording. A Share Anytime screen with opinions written by discussion participants in response to the speaker. 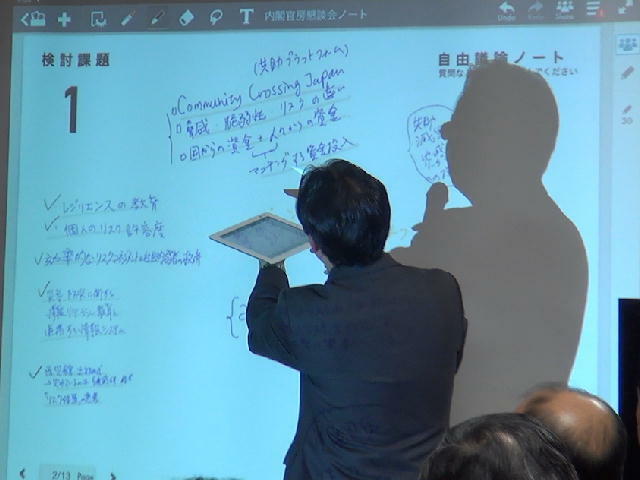 The meeting participants can also write while they are speaking. As seen at this panel discussion, they can supplement what is said and provide evidence when needed. It is in a form based on the written word, which contributes greatly to a deeper discussion. It is easy to organize the shared documents by applying color for emphasis or by marking them with arrows or other marks. The hope is that by using Share Anytime, meeting participants will be able to easily share their awareness, and meetings will become more activate.